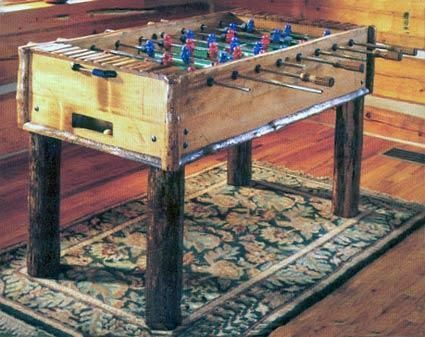 No game room is complete without a foosball table. 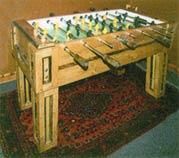 Choose one to match your billiard table and enjoy hours of fun and years of satisfaction. 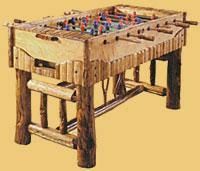 Foosball tables come in all embellishment styles and are shown here in the Standard style (first), the Wilderness Madison (second), and the Gallatin (third).